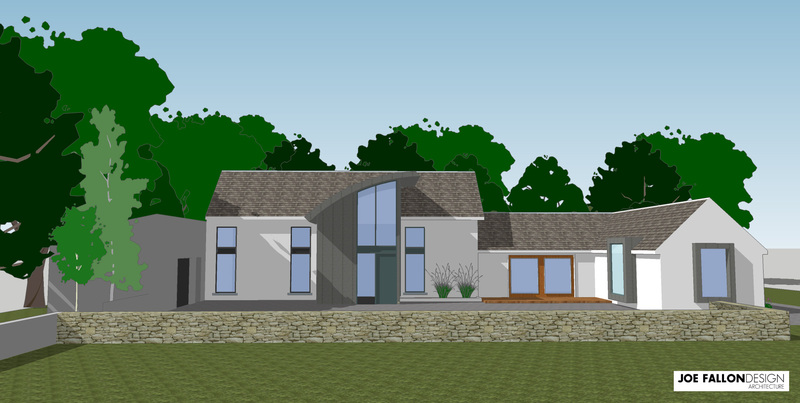 Renderings of our design for the modern refurbishment of a typical Wexford farmhouse. 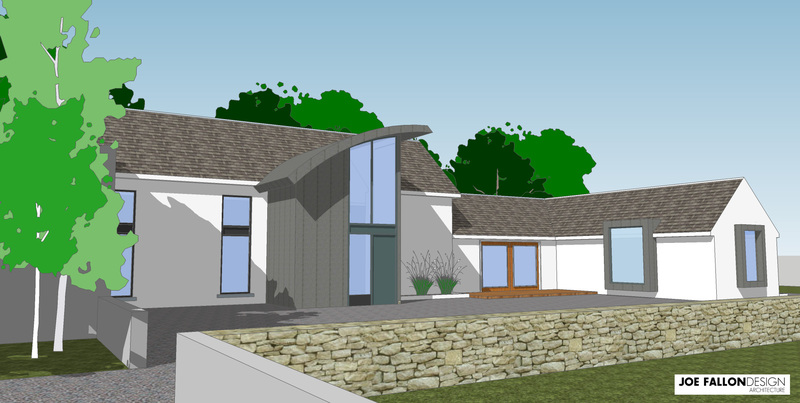 Initially the clients were skeptical about the dramatic curved roof on the entrance and how it would fit into the overall design of the new house. JFD employed 3D modelling software to model the scheme and produce rendered images of the new house. This helped communicate the concept to the clients, and helped them understand and grasp the vision of the scheme. 3D modelling is also a useful tool for shadow analysis and material or colour alterations, and is available as an option to our clients during our design process.